As a teenager, I could never have imagined that I would spend more than half a decade living on the other side of the world. 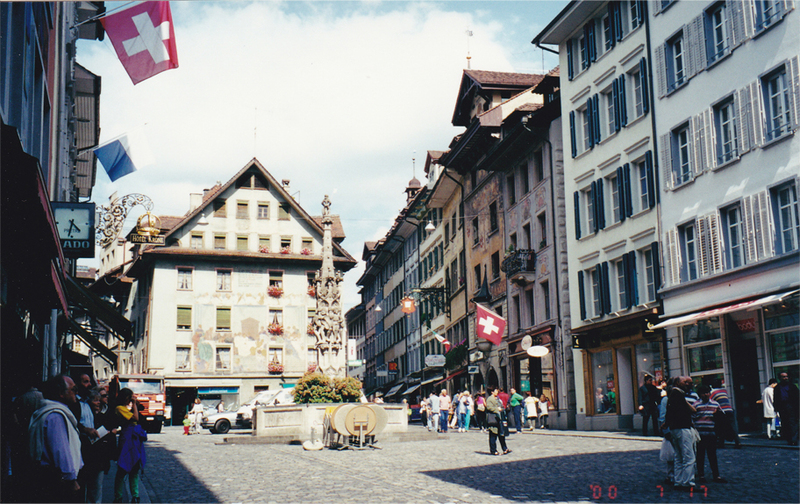 But in the summer of 2000 my father would take us on our first-ever trip to Europe, traversing the breadth of Switzerland before heading onto Vienna and Prague. Just recently I discovered my photo albums from that trip, hidden away in the back of a bedside cupboard. Flipping open the pages triggered a sudden flood of vivid, half-forgotten memories. 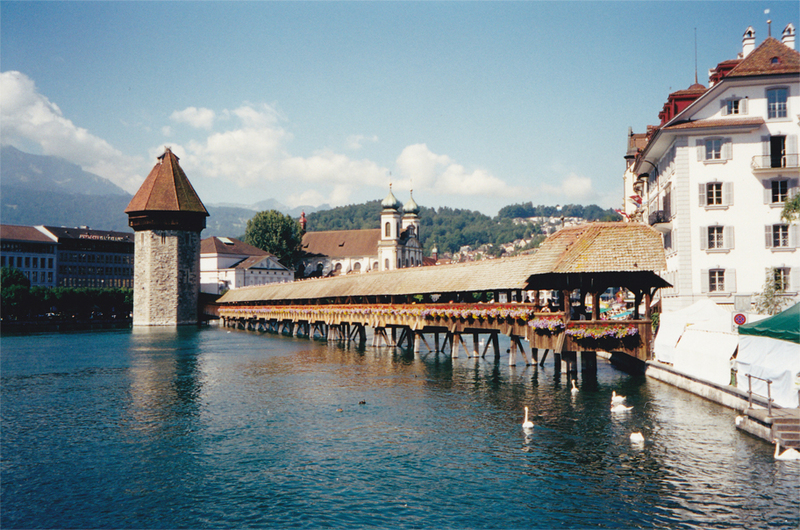 I remember Luzern’s Kapellbrücke and my first bite of rösti, the crispy Swiss potato cake and national dish. 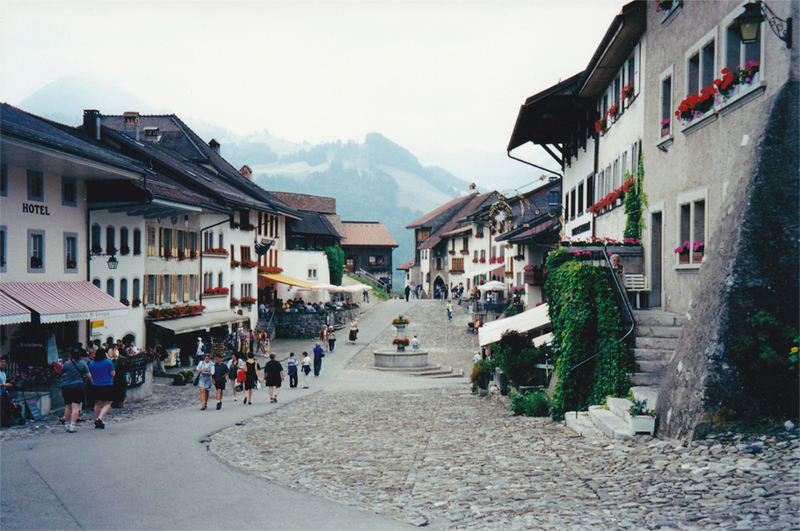 I remember the road trip to the Valais, via the northern shore of Lake Geneva and the medieval town of Gruyères. In that region we saw the dogs at Great St. Bernard Pass, rode the cable car to Rothorn, and hiked through alpine meadows brimming with wildflowers. 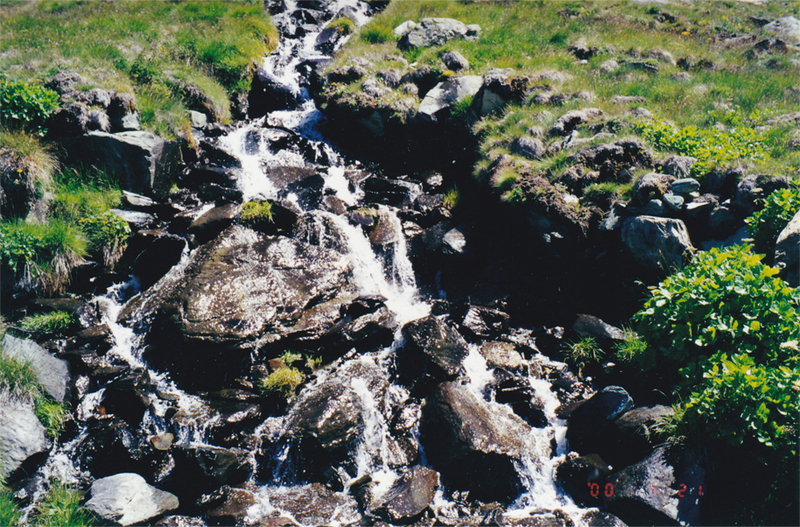 I’ll never forget the sensation of dipping my fingers into ice-cold meltwater, tinged a subtle shade of pastel blue. Our visit was made even more special by a handful of my father’s old friends; with open arms they welcomed us into their homes, packed with no shortage of good food and laughter. On such an occasion we were introduced to three of our favourite things: tomato and mozzarella salad, seasoned with olive oil and fresh basil; the Lebanese dish of ruz wi dejaj; and the competitive, fast-moving game of Ligretto. Looking back on it now, I can’t help but wonder if that European summer would influence my eventual decision to pack up and move to that part of the world. It was one of the best family vacations – the only contenders were two to Japan (Kyushu and Kansai, both during Cherry Blossom season) when my entire family on my mom’s side rented its own tour bus! do you remember what kind of camera you used on your Switzerland trip? I used either a Nikon or an Olympus… but I have no idea what model it was! SLR? I really love the color, especially on the mountain photos. Oh no, it was most definitely a point-and-shoot! Switzerland is beautiful! 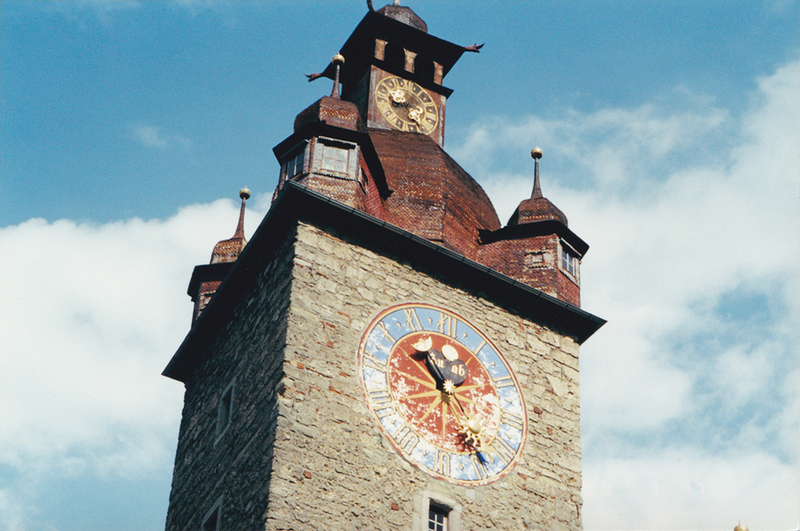 My husband´s sister is married to a Swiss and they live there – for us to visit occasionally. Beautiful photos and words – reminding of those days. Thinking of you finding those photos – isn´t it just wonderful to be so surprised and to be able to open up what´s been locked inside for so long? Discovering memories you almost thought forgotten…Pictures are indeed mind openers. My sister lives in Germany so I had the chance to visit a few months back – however I don’t think I enjoyed it as much as Switzerland, the people were not nearly as friendly! I completely agree – a photo can remind us of so much: a place, a particular event or time period, a memorable conversation… I’m still trying to track down my old pictures of Italy and Japan; there is so much I could write about on my experiences in both countries. Yes, I did – it was one of the most memorable summers I ever had! usually our travel sighting to Europe include Switzerland. That’s amazing reading of someone on the other side, Thanks for your thoughts! I will think a bit before visiting small villages myself! You’re welcome! Switzerland is dotted with so many gorgeous towns and villages, I would love to go back one day! Sounds like an incredible vacation! I hope to travel to that side of the world one day!! These pictures are so lovely! 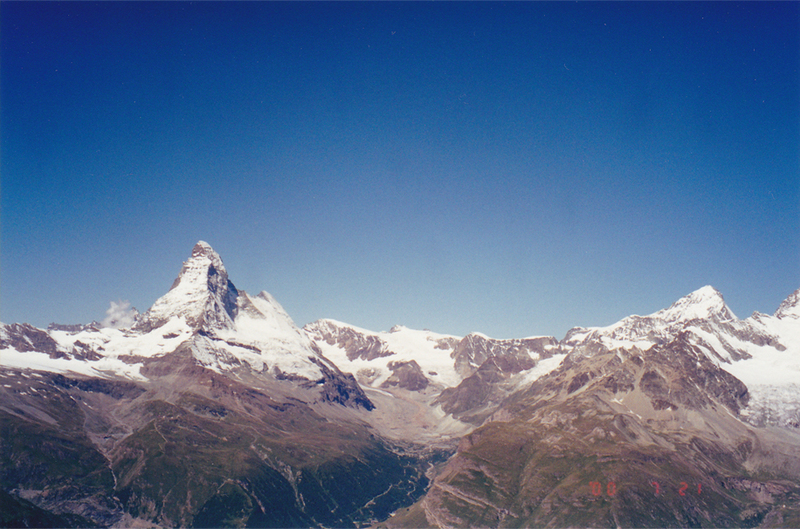 I originally come from north-west Italy and it seems like that stunning blue sky belongs to the Alps areas! Now that you’ve mentioned it, I’ve noticed the same trait in pictures of Nepal and other high mountain regions! I’d love to go there too 🙂 must be because the air is so lovely and pure! James, Switzerland has always been one of the countries that I want to visit the most. Every time I take a look at pictures of serene Swiss villages, majestic Swiss Alps, the lakes, the old town quarters, I always feel the ‘urge’ to go there. Did you also happen to take the Glacier Express? Switzerland can be expensive, but it is such a beautiful country! Both my parents spent some time living and working there in their 20s so I guess it was an appropriate introduction to Europe. 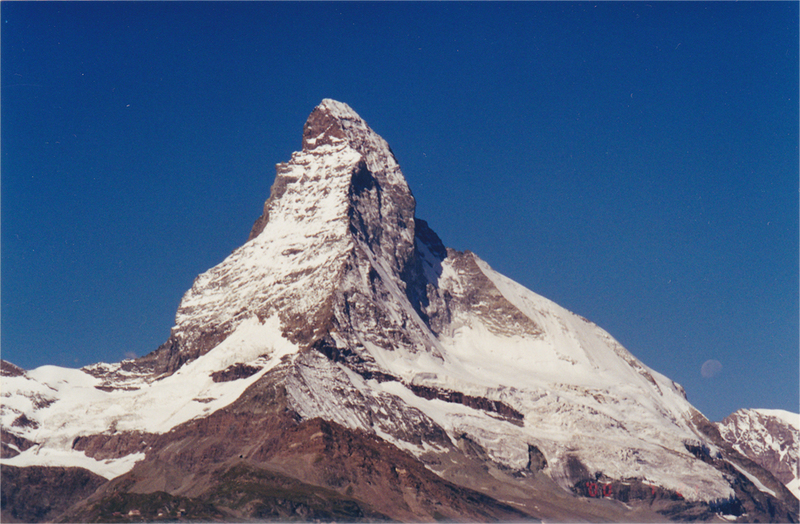 I didn’t take the Glacier Express that time – we drove to the next town from Zermatt and then took the train from there. I agree, Terri – a photographic record seems to be one of the best ways to jog a memory. Truth be told, I don’t think I could ever travel anywhere without taking my camera along! When I travel, I hate to even put my camera away. Seems as soon as I get it tucked into the case, I need to pull it out again! Your pictures are beautiful! 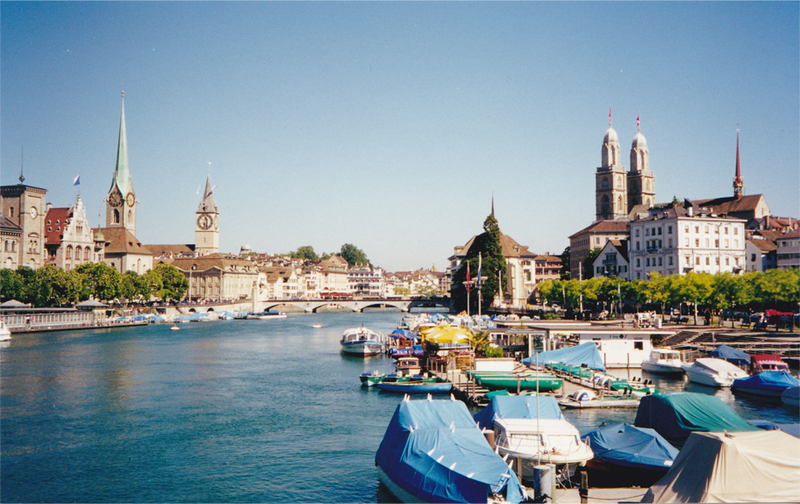 There are so many more places around the world that I want to visit…..I will have to add Switzerland to the list. When I was in high school choir, our choir director was arranging a trip for us to go to Switzerland and sing, but then we had the 9/11 tragedy and we cancelled our trip for fear of getting on a plane. Maybe I’ll make it there, someday! Thanks Rachel! I had a similar situation with Greece – I was supposed to go there in October 2001 on a school trip but it didn’t seem like the best idea after what happened. Even after all these years I’m still waiting to visit! You took a great photo back then. Caprese salad is one of my all time favourites. I ate it for the first time nearly 40 years ago when I lived on the Amalfi Coast. I can also still remember my first blood orange. I was hooked immediately. I knew there had to be a name for that dish – thank you for the reminder! Sometimes it is so amazing how photos can bring back the memories(things we thought we had forgotten) as fresh as in yesterday. Gorgous photos, James. I can’t pull me eyes out of the blue.Remind me of the Chinese phrase, “水天一色”. Impressive experiences packed with visual,hearing,touch and taste. I doubt most digital cameras these days can capture the sky with the same intensity. Thank you for such a lovely comment! Lovely images James! I can see why this trip might have influenced your decision to move to Europe! We whizzed past Switzerland oh so long ago in an escorted tour in which we went to a lot of places but did not have enough time to SEE any of them, if you know what I mean. That trip spurred us to start traveling independently. Absolutely – someday you’ll have to return to experience Switzerland as it really is! I’m not at all a fan of those group tours which advertise “5 countries in 7 days”… it completely misses the point of travelling! My parents brought me to Europe for the first time when I was 13. They started in Paris and that was it. I fell in love and promised myself I’d learn French and live there someday. That I did 8 years later during my junior year of college. there is something so utterly beautiful and romantic about Europe. I wish it wasn’t so expensive now but I’ll always love it and hope to go back. What a coincidence – I was also 13 when I had my first experience of the continent! A similar thing happened to me when I visited Spain in 2009; I just knew I had to learn Spanish after that trip. That eventually opened some doors and a year later I had the amazing opportunity to live there for 9 months. I get the feeling that you’ll bring your kids over there someday!